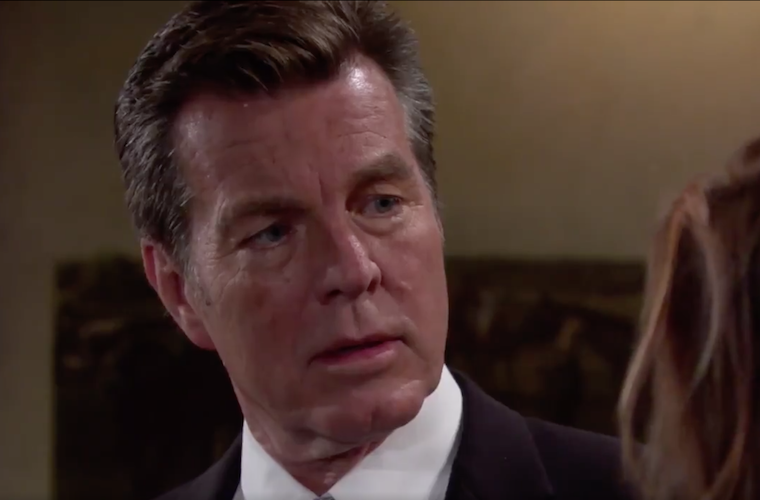 The Young and the Restless spoilers update for Monday, April 15 find that Victor Newman’s (Eric Braden) plan has been revealed after his wife Nikki Newman (Melody Thomas Scott) does a little digging. Also, Cane (Daniel Goddard) apologizes while trying to turn his wrongs into rights. Billy (Jason Thompson) sets his foot down with Jack (Peter Bergman). The Young and the Restless Spoilers Monday, April 15 Update: Victor’s Undercover Plan Gets Uncovered, Nikki Furious At Being Left Out Of the Loop – Billy Accuses Jack Of Reckless Behaviour And Endangering Jabot! It begins with Nikki and Victoria (Amelia Heinle) having a heartfelt conversation about everything that has happened in the last several weeks. Victoria admits that she had to take a step back and leave Genoa City before being able to move forward. She tells her mother that it was Billy who tracked her down in Las Vegas. Victoria also thinks that Billy has changed and is willing to take a chance with him again. Victoria also revealed to her mother that Victor is actually in Las Vegas and not on business in New Zealand. Nikki is furious and says that he’s lied to her too many times and vows to get to the bottom of what he’s been doing behind her back. At the Abbott house, Traci (Beth Maitland) is pleased to hear that Billy and Victoria are giving their relationship another chance. Cane appears at the door. He apologizes to Billy and says that it wasn’t his fault that his marriage to Lily fell apart. Cane takes responsibility for everything that had happened between him and his wife. Traci then asks about Lily. Cane reveals that she is being released from prison next week and that he refuses to sign her divorce papers. He then asks Traci if she can help him fix his marriage, but she’s reluctant to do so. Later on, she tells him that he needs to figure out his own demons before he can do anything to save his marriage. At the penthouse, Ana (Lorna Lott) and Jett (Gilbert Glenn Brown) are singing together at the piano. Devon (Bryton James) likes what he’s hearing and gives Jett an offer that he can’t refuse. Unfortunately, he declines. Jett argues that his time has past, but Devon doesn’t think so. He then suggests that they should play at the opening of a new restaurant in Genoa City. Elsewhere, Billy finds Jack and the two discuss Abby’s (Melissa Ordway) new restaurant. They then talk about Ashley (Eileen Davidson) and think that it will only be a matter of time before she strikes back. Jack isn’t worried, but Billy is. He thinks that Jack’s moves might not only destroy Jabot, but their working relationship as well. Talk then turns to Billy and Victoria. Jack believes that he might be working too fast with her and that he should give her time to heel.